MONOPOLY © 1935, 2009. All rights reserved. 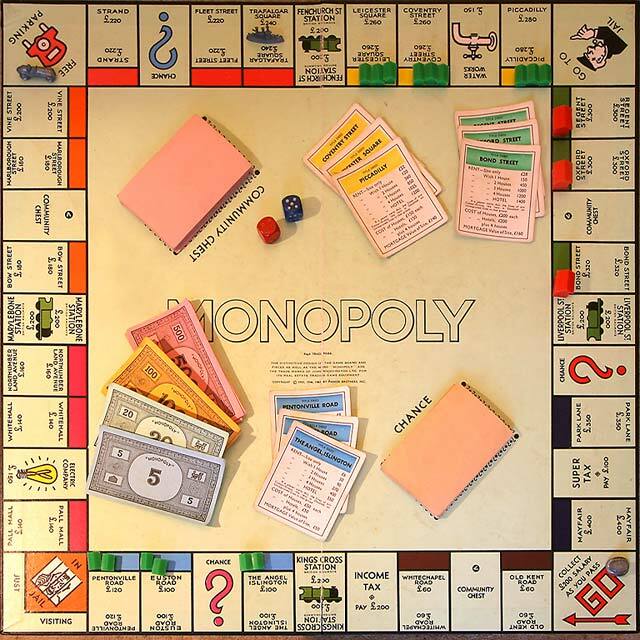 Copyright of the board game Monopoly is held by Parker Bros, a subsidiary of Hasbro. Photograph taken by Peter Stubbs. If you click on one of the two small images below, you will be taken to the page that includes thumbnail images of all the London streets and stations on the Monopoly Board.